The point of university pedagogics!? The writers of this blog, Charmi, Christian, Francesco, Louise, all have an interest in pedagogics and decided to take a course in university pedagogics. This blogpost was made as part of module two in university pedagogics. During the course we have been able to participate and arrange active learning instances. The course participants were split up in four groups and each group was responsible for arranging one workshop utilising an active learning technique of our choice. This has been a positive experience for all of us and many have expressed their desire to incorporate some of the forms in their teaching. It was especially eye-opening to try out the techniques ourselves and afterwards brainstorm about pros and cons. Doctoral students are encouraged to include 5 credits of university pedagogics in their official study plan for the degree. There is no formal requirement for staff to have university pedagogics at the time of employment, however if they have no previous courses they are required to complete some within two years. Teachers at level 1 are required to complete 5 credits worth and teachers at level 2 are required to complete 10 credits worth of university pedagogics. The recommended amount of university pedagogics for staff is 15 credits . A small poll done at the dynamic ecology blog asked readers to report how big fraction of the lecture time they use for lecturing and why they choose that approach. The respondents who use more than 75% of the time lecturing chose some of the following alternatives: a need to cover a lot of material, lack of support, in form of teaching assistants, to use other forms of teaching, want to use existing material, don’t know how to implement other approaches, feel that the class is too big for other forms of teaching, people enjoy lecturing, too big risk of failure and the list goes on. Of the respondents, who said they lecture less than 75% of the time, 51% indicated that they lecture less because of knowledge of pedagogic research . Research showed how active learning, even if is not the cure for all educational problems, has a positive effect on learning in general  and also on specific learning outcome, both related to the content of the lecture, for example academic achievement or related to personal characteristic, for example higher self-esteem , This is particularly important related to the engagement of “millennial” students, who are more difficult to engage with classical teaching methods . For example, the analysis presented in  investigates the importance of active learning strategies and analyses the possible obstacles to be overcome. 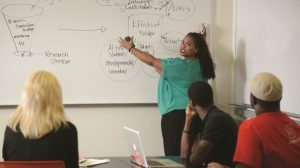 The active learning methods compare to traditional, conventional methods of instruction produce different learning outcomes and provide most effective learning within a given time limit and lengthy course content. All over the world, new recommendation are spreading, highlighting the importance of use active learning as common teaching strategy . However, the active learning strategies needs to be planned well in advance in order to maximize their positive effects, moreover, they are more effective if personally comfortable. The researchers practicing active learning methods while teaching are more concerned with how well the students master the contents. In order to follow the timeline within the classroom the strategies could involve more interaction between the teacher and students rather than interaction among student. A successful example of active methods is the one used by Prof Jim Eison (Department of Adult, Career & Higher Education University of South Florida) . The researcher prepare pre-class material with short writes, involves more YES/NO answering questions and structure the group discussion in a way that follows the outline of the course. Content of the course could be formulated as a poem or photograph for students to analyze and extract possible understanding. For the self-improvement, a questionnaire is prepared for self-assessment of the applied active learning strategy. The researchers practicing active learning methodology could develop a forum for continuous discussion, which helps them to remain updated with the ongoing developments in the strategies. We believe that a proper and planned use of actives method not only creates better learning environment, but might even reduce the amount of time spent on teaching. During the pedagogics 2 course, all groups were assigned to arrange a workshop on the role of the university, utilizing some activating method. Before the workshop we read a number of articles on the subject, wrote abstracts on these and got comments on the abstracts from the other participants. At first, this seemed like quite a challenge, but it turned out to be easier than anticipated. We chose a very simple activating method (which we called “the line”), where we presented some statement and told the participants to stand somewhere on a scale (a line on the floor) ranging from agree to disagree. After everybody had found a point on the scale where they felt comfortable, they got to discuss their opinion with others next to them. First, we presented some background on the topic and then presented a few statements relating to the topic with focus on Åbo Akademi. This way, we were able to recreate many of the arguments presented in the texts we read, but in a way so that everybody thought about the issues from their own perspective. After discussing in small groups, everyone also got to present their opinion. Designing and moderating the workshop really showed that using activating methods needn’t be time-consuming, neither during preparation nor execution, while still getting the participants engaged. Formative assessment was used frequently throughout the course, for instance in form of comments on our abstracts. This feedback made it possible to improve our work throughout the course. With this post we want to raise awareness on the importance of using activating methods and to maybe ease the fear related to the supposed complexity related to the implementation of activating methods in everyday teaching. Omelicheva, Mariya Y., and Olga Avdeyeva (2008) Teaching with lecture or debate? Testing the effectiveness of traditional versus active learning methods of instruction. PS: Political Science & Politics, 41(3), 603-607. Prince, M (2004) Does active learning work? A review of the research. Journal of Engineering Education, 93(3), 233-231. Niemi, H. (2002). Active learning—a cultural change needed in teacher education and schools. Teaching and teacher education, 18(7), 763-780. Drake, E., & Battaglia, D. (2014). Teaching and learning in active learning classrooms. FaCIT. Eison, J. (2010). Using active learning instructional strategies to create excitement and enhance learning. Jurnal Pendidikantentang Strategi Pembelajaran Aktif (Active Learning) Books, 2(1), 1-10. Our concern when looking at the current trends in Finnish university reconstruction is the disappearance of small departments and programs. This is happening within Åbo Akademi University, however it is not a solitude problem within only our university, but rather an international trend where larger units are more funding-friendly and perceived more efficient for the management. The funding challenges that have caught our attention are small departments’ possibilities to remain intact within bigger institutional reconstruction, as well as to attract compulsory funding and researchers due to lack of consistent funding. This may in the end lead to a decreased level of research. Finally yet importantly, we recognize more possibilities for ‘trendy’ subjects to establish public – private funding corporation. On the one hand, the Vaasa Energy cluster and studies supplied by the local universities devour and extinguish smaller subjects. Students within energy technology from the Vaasa University and Åbo Akademi/Novia are in for opportunities and a remarkably good research position for the next decade. 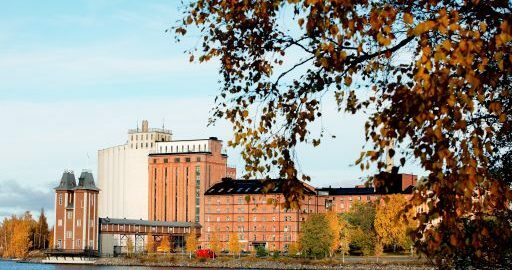 The city of Vaasa engages in this discipline by organizing a yearly one week long ‘Energy week’, including conferences, seminars, awareness raising events among the public and educational institutions and so forth. On the other hand, subjects sustaining and developing the rural region of Ostrobothnia, such as rural and regional studies are neglected in this era of the energized Vaasa. These studies linked to rural, urban and an environmentally sustainable future at Åbo Akademi and Vaasa University have minimalistic visibility to present themselves and reach out to the public through the same major promotion supported by, for example the city of Vaasa. Therefore, funding from the region and its municipalities is more likely to be allocated towards energy studies than rural and regional studies. We are concerned that the focus has been turned from the human and social capital towards management efficiency and financial resources. We ask ourselves where the appreciation for humans and humanistic studies has gone. For example, at Vaasa University the humanistic division of languages are redirected to Jyväskylä. From Åbo Akademi, on the other side of the Brändö bride, we ask ourselves if a university without a language study unit will be a scientifically holistic or a loosely fluctuating entity in the future? In conclusion, as we discussed these issues in our University pedagogic studies 2 during this semester, we consider the needs of human care and social awareness to be raised. Internationally universities tend to move towards resource sharing, funding in order to attract more funding, and students. Finances have become the most important element for universities around the world. Do we want to live with this? The changing environment of universities is leading to changes in the student/teacher relationship. Universities in 2017 exist in the context of the prevailing opinion in society and the public debate, sometimes labelled ‘neo-liberal’, in which everything is supposed to act like a market. Since the 1980s this has replaced a view of university funding based, broadly, on state planning (we need so many engineers and so many arts graduates, so we will fund those portions of the university accordingly) with one based on the idea that everyone must sell what they have to sell and compete with others in the same marketplace. This applies both to researchers within universities and to the universities themselves as parts of a global knowledge market (Hall, 2010). The general trend within higher education during the last few decades has undeniably been a shift towards trying to meet the needs of the marketplace on a state and global scale, not least with regard to the internal organization of universities (Taylor and de Lourdes Machado-Taylor, 2010). The emphasis for both student and teacher has shifted so that each is judged according to measures of productivity. Members of our group on the course ‘University Pedagogies 2: Institutional Framework for Teaching and Tutoring’ have situated our own experiences in the context of our assumption that there has been a general change in society and in political discussion over the past few decades. These thoughts have a clear relevance to the public debate. Let us imagine a situation when a PhD student gets a funding within a project. The idea of doing research and being paid for this effort sounds appealing, to say the least. It sounds like a dream job. Perhaps to those whose thesis research topic falls within the scope of the project or at least overlaps with it: for them, it is a definite ’yes’. For others, the experience can leave a bitter taste. 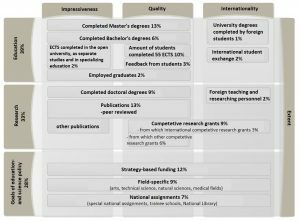 It can include publishing articles which fulfill the objectives of the project, objectives which have been put in place by the PI of the project and approved by an external funding body, but don’t serve the needs of the PhD student. This may lead to a lack of personal motivation, since the student is focusing on project work and not his or her own interests. It can be impossible for the student to do his or her own chunk of work. However, does this matter? The papers are being produced anyway… And the research plan of the PhD student is essentially irrelevant, as long as he or she produces papers on time and graduates (as yet another output of the university system). In varied ways and to varied extents university teachers may question and even in some cases resist the situation in which we are operating. This bears some resemblance to the model of the teacher as dissident, an oppositional actor operating under the radar within the system, which has been proposed by Seth A. Agbo (2010). 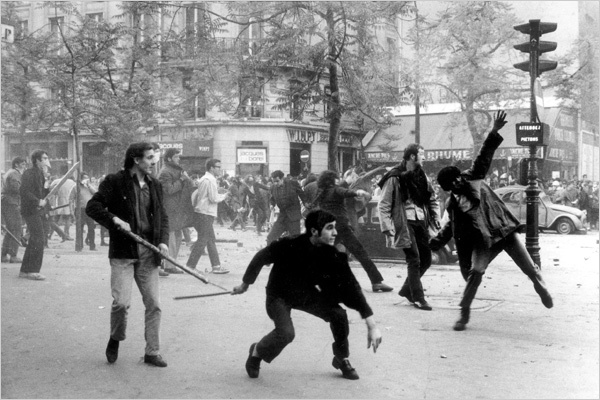 The dissident is often viewed as someone whose activity is aimed at the destruction of the system in which they operate. Perhaps the dissident could be viewed more positively by those able to modify the system on a larger scale as a productive figure, as someone with insights to contribute which could rehumanize the system without attempting to turn back the clock to the past. A teacher’s productivity could include a productive level of dissidence. Allied to this, if the number of PhD students that a docent or professor can take on is very limited, then researcher education is problematic. The lead researcher can put no time into researcher education. He or she can only use the junior researcher as a resource to do the portions of the job which the senior researcher would prefer not to do. The junior researcher, meanwhile, has to accept this particular market as the situation in which he or she is now operating. The alternative to becoming a course assistant with plenty of workload on the shoulders (read: accepting the situation) is leaving the academic profession. Thus a by-product of the new university system are lecturers without the proper ‘lecturer’ tag. In this sort of case, the demand for productivity can have a highly negative outcome, demoralizing and even driving from the profession people who are well suited to it. Universities are now forced to produce potential employees to fill in the market gaps (Neary and Winn, 2009). They need to adapt their teaching methods and material to fulfill the job market’s expectations (Offutt, 2014). But the question remains: should the graduates be specialised narrowly in one topic that they have explored to exhaustion or should they have a broad knowledge about generic concepts and the ability of finding more information upon request (Meyer, 2014)? Should universities teach students adaptability? History shows that universities seem to be capable of being flexible at all times, mimicking and following contemporary economic and political trends. Additionally, when thinking about both the student as producer and the teacher as producer, researcher education faces an issue of politics. These touch primarily on financial aspects of universities. For example, take a subject in Åbo Akademi University’s FHPT which, in practice, gets one funded place a year for a PhD student from ÅA irrespective of how many good people come along. More and less competitive individual years of students will exist, but this reality will not be reflected in the numbers admitted to PhD studies, and there will be some years in which good candidates can lose out. We can see the same difficulty mirrored at the level of external funding applications to, for example, specific research councils at the Academy of Finland. The Academy has a very limited number of places in Culture and Society, for example, available each year, and in practice the allocation of funding will be determined by quotas: Helsinki needs to get so and so many; there need to be so many historians. And so on. 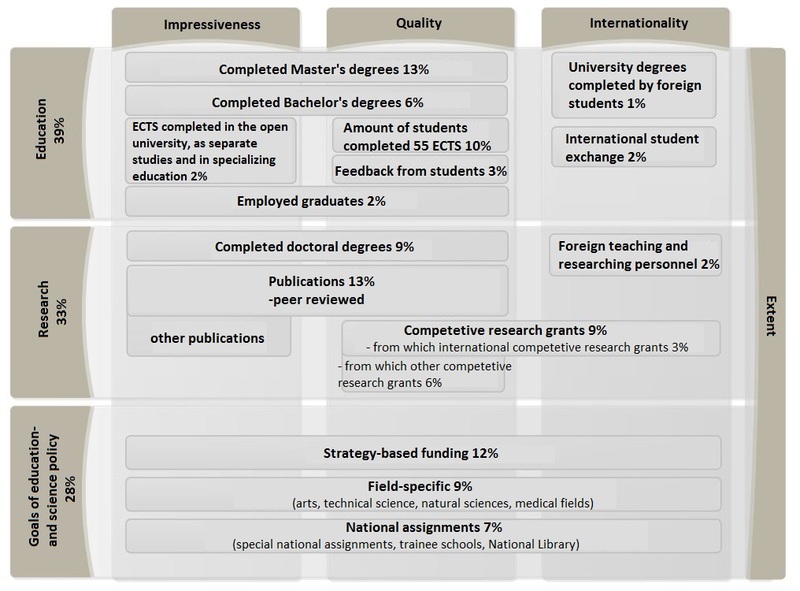 Clearly, when external project funding is a big part of how researcher education, teaching etc. is organized, this has an impact on how people view themselves as researchers. The possibilities of PhD students to learn things can be very limited. They have to accept the system as it is, and they have to develop within it. This can seem like a ‘take it or leave it’ approach on the part of university managers, who are themselves forced to take or leave the national higher education system that they are being asked to manage. In either case, that of young PhD researchers and established administrators, there will be others waiting in line to accept whatever one protests against. Need the situation be passively accepted? There are negative consequences for national higher education productivity which are introduced by the system’s demands for output figures. Highly qualified graduates and researchers will leave this university for more stable and well-paid positions elsewhere. This could be outside the university in the Finnish private sector, or by finding better university conditions either elsewhere in Europe or beyond. It is merely a manufacturer-like illusion that all the parts can be swapped without any harm to the system. There seems to be the potential – and perhaps the demand – for a type of education that more realistically views the situation in which we are, where both students and teachers are producers. In the current context being described here, the person starting a career as a university researcher and teacher faces production objectives. Teaching takes so many hours, so how are you to write articles? You have to generate a thesis, or a certain number of articles which will be accepted by the right journals; you have to process a certain number of students. You are described as a teaching assistant when in practice you are taking on the full responsibility for creating and assembling the course material, teaching and grading a whole lecture course. Note the words in italics – do they resemble a factory in any way? Examples of materialisation and productisation at the universities seem to be endless and experiences of them are varied but seem to be shared by all of us. For instance, it can be reading and grading Master’s theses always in conjunction with the supervisor of the theses; or teaching a great deal alone that was nominally the responsibility of the project leader who received the funding which was paying the group member’s salary. In both cases the PhD student is, in a sense, used as a production unit, handling work that salaried employees find time-consuming and unmotivating. This is the academic world we all operate in and have to agree to its terms, if we want to remain in academia. The relationship is a contractual one, it seems. 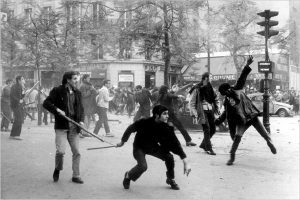 There is no realistic prospect of turning 2017 into 1968. It’s necessary to sell yourself; to become famous (if possible) and recognised as an academic. Pitching for PhD funding in the manner of a salesman touting for business is currently the way to go. If you applied for research funding and didn’t get it, you lost in the beauty pageant. These reflections on personal experience happen in dialogue with the evidence and methodologies found in research literature (see References). Emphasis here has been on the person at the outset of the academic career, who is operating as both student and teacher. The same approach could be taken to people at other levels of the academic career, from undergraduate student to professor. Thus, it is a person-led approach. Naturally, there might be points to challenge it. After all, it is based on assumptions that the university world has broadly changed in the way described in the first paragraph (from top-down to marketization). Agbo, Seth. A. 2010. ‘The Cultural Politics of Educational Inequality: Discarding the Prevailing Eurocentric Formulations of Academic Failure’. In Claes, Tom; Preston, David Seth (Eds.). 2010. Frontiers in Higher Education. Amsterdam: Rodopi. 7–24. Hall, Philippa. 2010. ‘Privatisation and the Transformation of Higher Education in Nigeria since 1986: An Analysis of Global Inequalities’ in Claes, Tom; Preston, David Seth (Eds.). 2010. Frontiers in Higher Education. Amsterdam: Rodopi. Naery, Mike and Winn, Joss. 2009. ‘The Student as a Producer: Reinventing the Student Experience in Higher Education’ in Bell, Les; Stevenson, Howard; Neary, Michael (Eds). 2009. Future of Higher Education; Policy, Pedagogy and the Student Experience. London: Continuum International Publishing. Taylor, James S.; de Lourdes Machado-Taylor, Maria. 2010. ‘Leading Strategic Change in Higher Education: The Need for a Paradigm Shift toward a Visionary Leadership’ in Claes, Tom; Preston, David Seth (Eds.). 2010. Frontiers in Higher Education. S.l. : Editions Rodopi. Currently, the university is going through uncertain times marked by austerity measures, demands for ‘effectiveness’ and growing reliance on the private sector. These tendencies, we argue, pose serious threats to the academic freedom of universities. In this text, our purpose is to contribute to the conceptual discussion about academic freedom by linking together the ideal(s) and the practice(s) surrounding it. The concept of academic freedom is intimately linked to the very idea of the university, to the extent that it can be called a fundamental principle of university life (Karran 2009, 17). It is a concept both often defended and criticized, but problematic to define. This is because academic freedom needs to be seen as a contested term that can be given various meanings from different positions. The contestedness of the whole concept of academic freedom is quite natural when you consider the fact the introduction of the concept can be dated back to the early 19th century and was at that time a response to the rise of the modern research-oriented university. The concept was premised on giving the state the power of decision in matters of appointing new professors, so that those considered critical of the contemporary political order were, in practice, excluded from these positions. In the 20th century, the idea of appointing professors regardless of their political inclinations evolved. Instead of having absolute freedom as lecturers, according to Max Weber among others, university teachers should not express their ideological standpoints but restrict their teaching to scientific matters, making a clear distinction between science and politics (Josephson 2015). The whole concept of academic freedom is connected both to views on knowledge and truth and their internal relationship with what is considered to be the academic mission. Some critics of academic freedom argue, that since scholars are broadly questioning the notion of objective truths and neutral knowledge, academic knowledge is no longer superior in the sense that scholars should be entitled to exclusive privileges (Josephson 2015). These critics seem to define the term “freedom” exclusively as “freedom from”: that scholars and academics have privileges that mean they can avoid such duties, regulations and criteria that other professional groups or student groups cannot avoid. These kinds of stereotyped and disparaging perceptions are mostly misplaced as their definition of freedom is a negative one. They fail to see freedom in terms of the ability to choose, to be critical, to act responsibly and make informed decisions. (Most people would consider these traits as inherently positive ones.) In this sense, academic freedom is neither just a set of privileges nor only a philosophical ideal, but a concept also connected to the practices of making science. As Josephson (2015) argues, the interaction between competent practitioners gives us important insights about science as a profession. When governments and private companies seek to influence research projects, the autonomous knowledge production within academia is at stake. Of course, there will always be interaction between academia and the surrounding society, but we maintain that it is in the interest of the society in general that the academic freedom is preserved and enhanced. In a way negative definitions of academic freedom hinge upon a highly atomistic and conformist view of people and society. Contrary to this, academic freedom can be seen to enable people to do the opposite: to push the boundaries, to challenge structures and, to some extent, to break rules are part of the academic freedom and a responsibility for scholars and teachers. In turn these possibilities are a part and parcel of the processes that make the production of knowledge and truth possible. This is one way of operationalizing academic freedom: by putting it in relation to what should be seen as the core mission of the university, namely to be able to produce critical and even transformative knowledge. In the same vein Terence Karran (2009, 20) says,“knowledge is created by challenging, rather than accepting, orthodox ideas and beliefs, which means that, because of the nature of their work, academics are more naturally led in to conflict with governments and other seats of authority”. While it is debatable whether academics are by default more critical of powers that be, it goes without saying that a lot depends on how university teachers and researchers make use of their freedom. This applies both to inside and outside academia. Sweeping political changes, including abortive notions of ‘effectiveness’ and ‘productivity’, have taken place within the Finnish society in the past twenty years. A consequence of this in matters of higher education have been increased levels of managerialism and the bypassing of both academic staff and students in relevant decision-making processes. These developments have already had a profound influence on academic culture and one can reasonably argue that academic freedom is more and more threatened also by forces inside academia. With freedom comes responsibility. Academics must take their role as intellectuals seriously and both engage popularly in public debates and in the media, for instance. This freedom to be critical and to connect knowledge with transformative action should neither be weakened at universities, nor should it have to be solely restricted to academia. Instead these ideals and practices could, when and however possible, be broadened to concern other forms of education such as basic education, popular education and vocational education. Moreover, other areas of professional life and civil society could also benefit from this kind of freedom to think and act critically. But it is important to keep in mind that “freedom”, along with “flexibility”, can also be used as euphemisms for precariousness and uncertainty. Choosing an academic career often means short-term grants with competition over scarce resources and an indeterminate future. This precariousness of course concerns not only academia, but working-life in general. Thus, engaging in the debate over what kind of freedom is desirable is an important task. That is also why we argue that positioning oneself both when teaching and in research is both a freedom and responsibility for scholars. Criticism from university towards government, private sector and different sectors of society should be welcomed by all respective parties. Indeed, the level of freedom to criticize existing norms, policies, power relations and arrangements and the response this elicits from different quarters of society can be seen as an indicator on how pluralistic a society that claims to professing to pluralistic values in essence really is. Josephson, Peter, “Kräver akademisk frihet bodelning mellan vetenskap och politik?”, Tidskriften Respons. Recensionstidskrift för humaniora & samhällsvetenskap 3/2015. www.tidskriftenrespons.se, accessed 6.6.2016. Karran, Terence (2009) Academic freedom: Essential Liberty or Extravagant Luxury? In Bell, Les; Neary, Mike and Stevenson, Howard (eds). The Future of Higher Education: Policy, Pedagogy and the Student Experience. London, GB: Continuum, 2009.